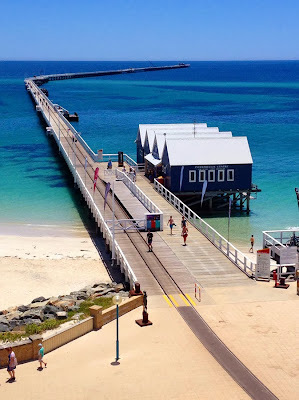 While we were in Busselton we just had to visit their most popular tourist attraction the famous "Busselton Jetty". Extending 1.8 kilometres across stunning Geographe Bay, the heritage listed Busselton Jetty is the longest timber-piled jetty in the Southern Hemisphere. 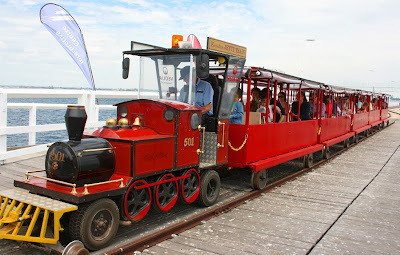 We boarded the famous Jetty Train for the slow ride out along the jetty before reaching the amazing Underwater Observatory at the end of the jetty. 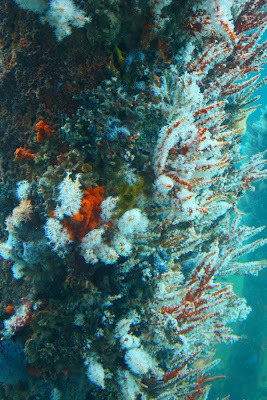 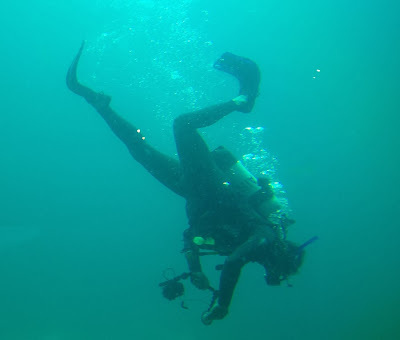 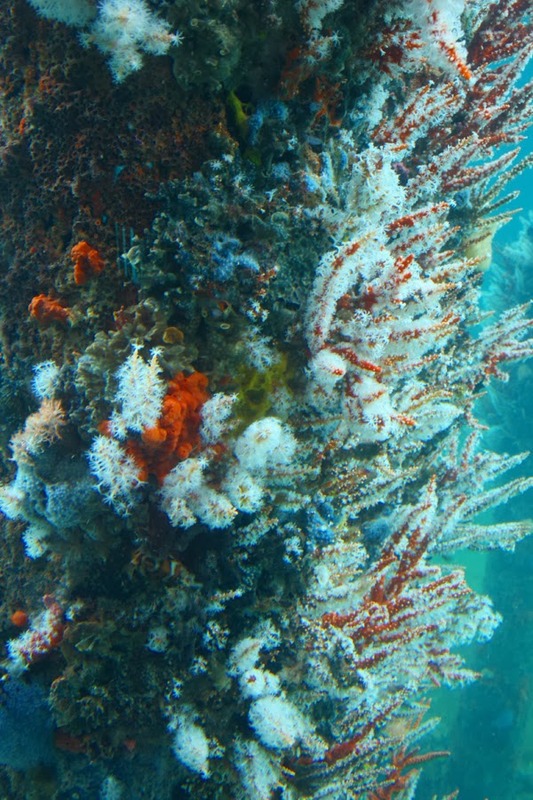 Once inside the observatory we descended 8 metres to the ocean floor via a spiral staircase to discover the amazing forest of vividly coloured tropical and sub-tropical corals, sponges, fish and invertebrates. 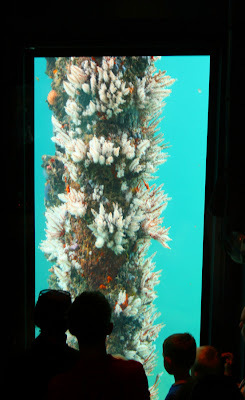 The eleven viewing windows at various levels along the staircase gave us a close up look on some of the 300 different marine species that live beneath the jetty.